Fast-track Sunport/University/North I-25 Rapid Transit – Fast-track development of proposed BRT line, connecting the Sunport to UNM; quickly extend the project to the North I-25 corridor, one of the largest job centers in the state; eventually extend service across Paseo del Norte to the Westside and beyond. Add Rapid Ride/express service on San Mateo – 2nd highest ridership corridor in the City by far; connects to the North I-25 corridor, one of the largest job centers in the state. 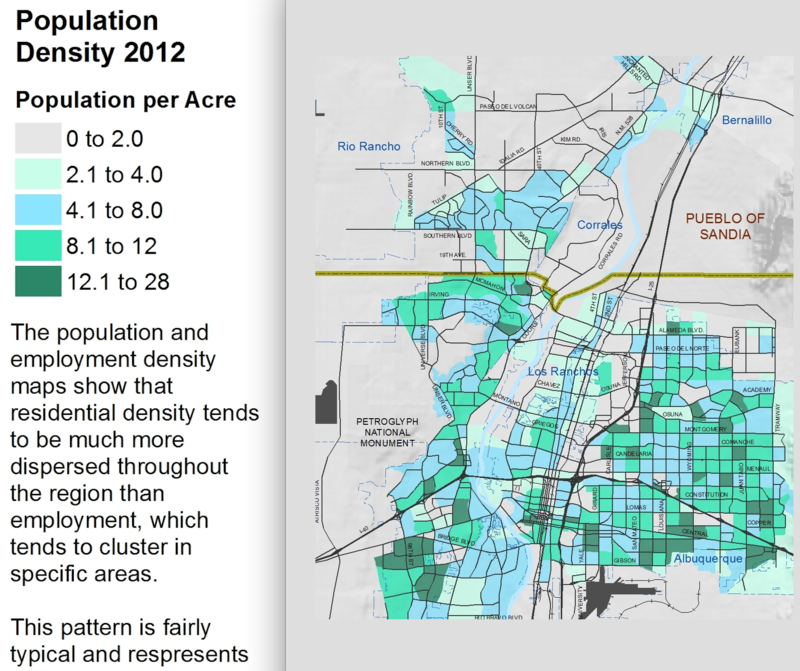 Add Service to Westgate/the SW Mesa – Coors, 98th, Unser or another corridor; add service to this fast-growing, population dense, low/moderate income area. 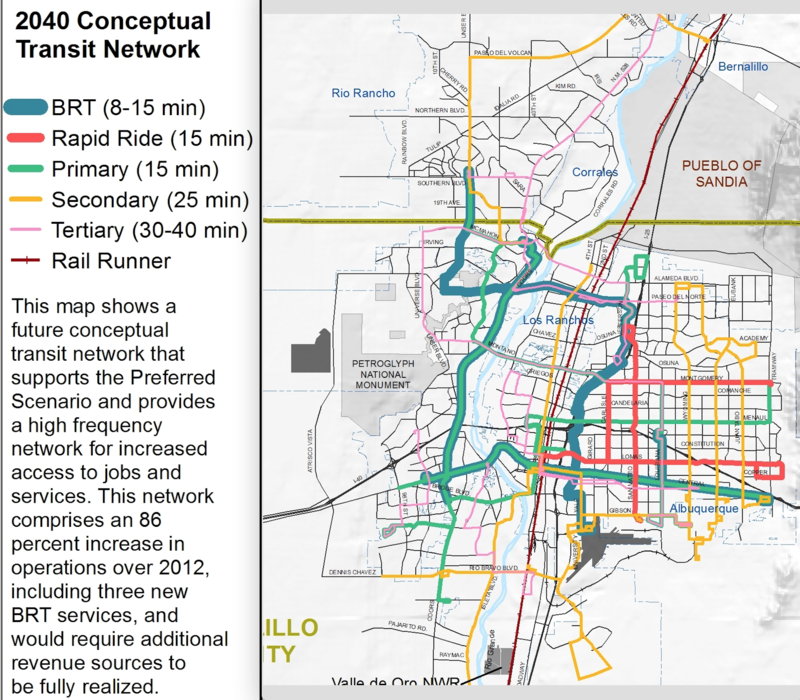 Connect these neighborhoods to rapid transit on Central Ave.
Add Rapid Ride/express service on Montgomery/Montaño – 3rd highest ridership corridor in the City; connects to some of the highest population densities in Albuquerque. 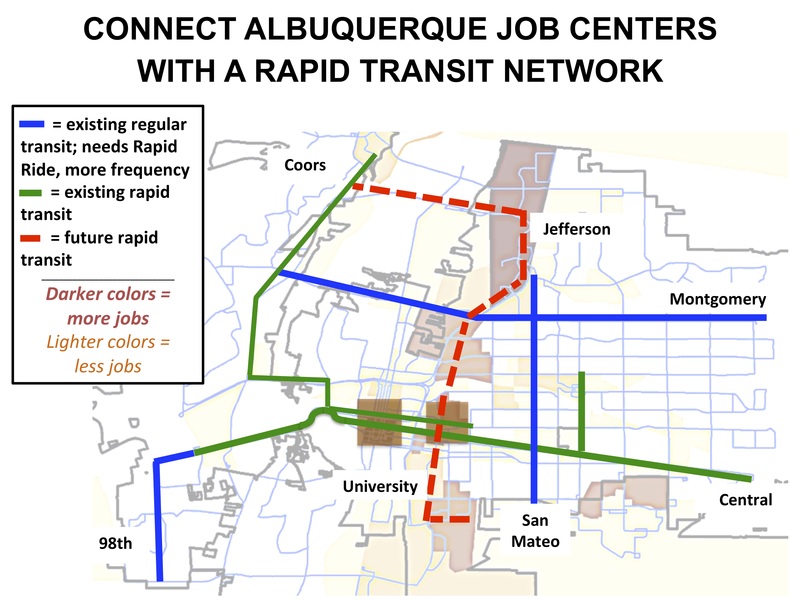 These Next 5 Steps connect most major job centers in Albuquerque with our existing rapid transit lines on Central, Louisiana and Coors. Amazon stated its clear preference to open their new HQ2 in a city with good transportation access generally and with a robust transit network specifically. These Top 5 Next Steps don’t only connect job centers- they also connect areas of high population density, places where many people live, making these expansions cost effective. You can see the “Next 5 improvements” on this map, along with a host of others. Extensive research and data analysis was used to create this Long Term Transportation plan. It considers many factors including future population growth, population density, job density and much more. You can clearly see Central Avenue on here, as it is the spine of Albuquerque’s transit system. 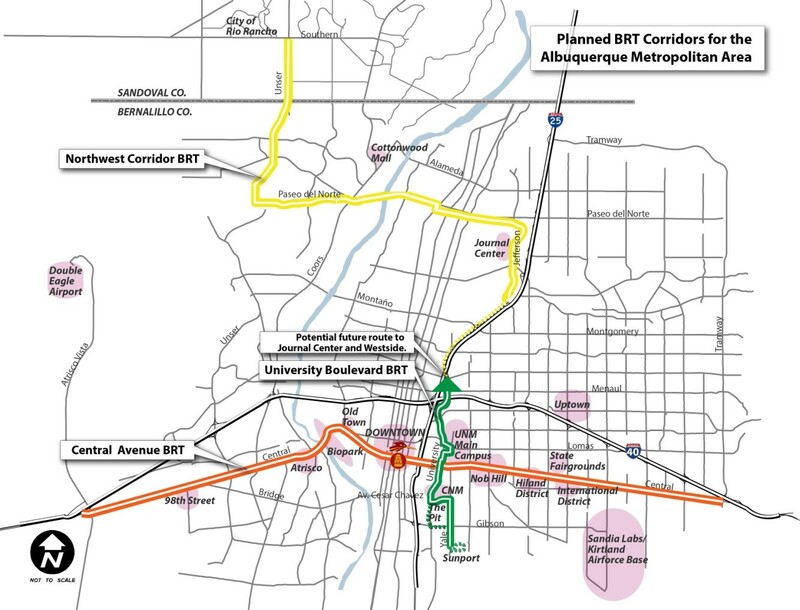 Click here to read the entire Long Range Transportation Plan, a vision for the Future of Albuquerque. Could mean tweaking the design for some parts of the A.R.T. project; might mean adding physical separation to keep cars out of the bus lanes (self-watering concrete planters, anyone?). Years of design, research have already gone into this project, an important part of the transit network, as recently discussed on the local news. 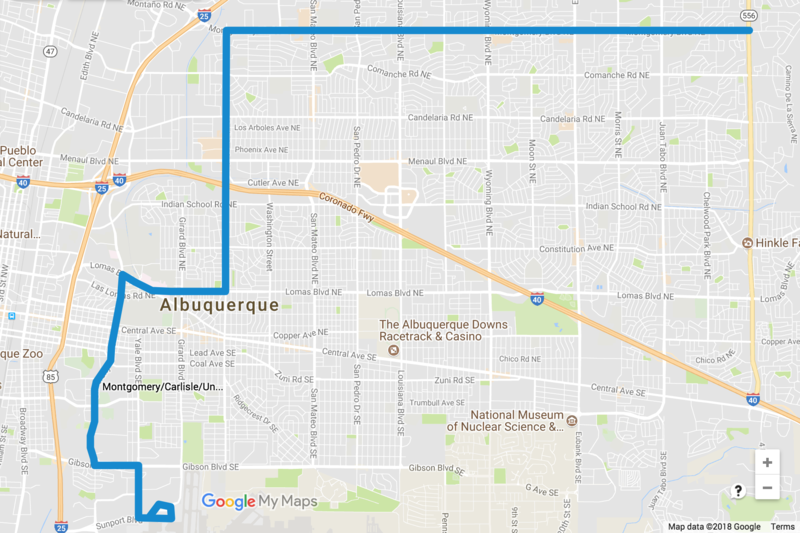 Project currently stops at Menaul and University; would be much more successful if it continued to Journal Center, using I-25 Frontage Road as an express route, and using existing bus stops on Jefferson. This would dramatically increase people using the service, and provide access to far more jobs. 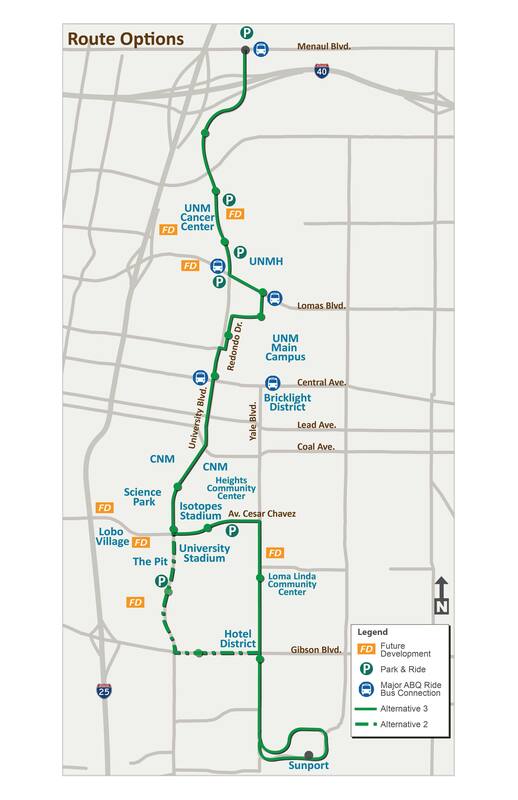 Recommended action: Add service to Route 198 (or another route, as determined by minor additional analysis) to better connect these neighborhoods to Central Ave.
Do you like this plan? Vote in the poll below- and be sure to give us your thoughts in the comments section. 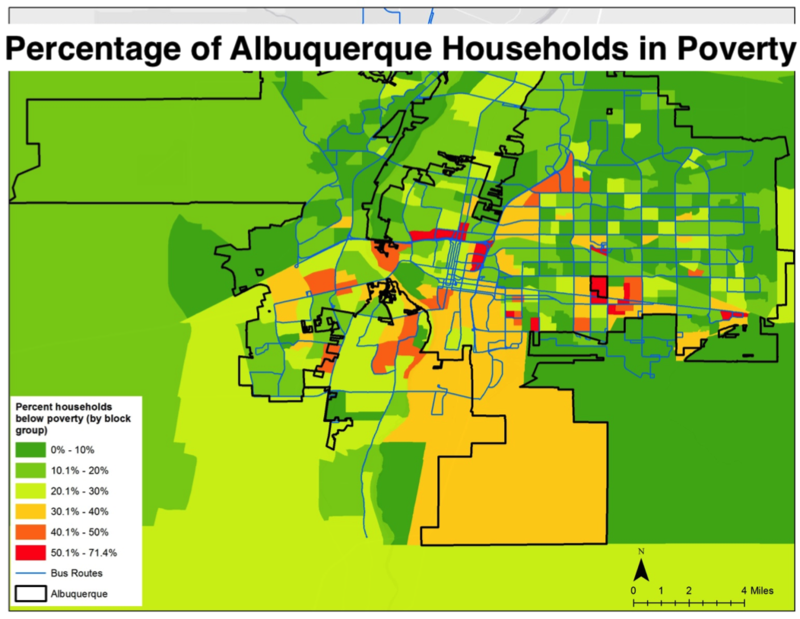 This is a pretty comprehensive list of reasons why Albuquerque will continue to fall further and further behind other regional cities. ART has killed any prospect of further rapid transport development for at least a generation. Parents should encourage their talented children to flee. Albuqerque’s infrastructure needs to work for everyone. Not just for those of us in cars.